Magnetic Particle Testing (MT) detects flaws (cracks) on or near the surface in most ferromagnetic materials such as nickel, iron, and cobalt, and some of their alloys. This ndt method can also detect lack of fusion, porosity, and pin holes. Magnetic Particle Testing starts by inducing a magnetic field into the object in question. If any discontinuities or flaws are present in the test piece they will interrupt the magnetic field within the piece and cause an external magnetic field to be created. This external magnetic field will attract the “magnetic particles” which in turn creates an indication that is easily detected with the human eye. Dry powder particles - These are simply made from very small ferromagnetic pieces that are covered in a dye to create contrast against the test surface. Black oxide solvent sprays - This is made by placing very small ferromagnetic pieces into a solvent and putting them into an aerosol can. These particles are typically black, so the test surfaces are usually prepared with a white contrast paint to ensure the black on white contrast is present. Fluorescent solvent sprays - This is made by placing very small ferromagnetic pieces into a solvent and putting them into an aerosol can. These particles are coated with a fluorescent coating, so the inspections require a black light and dark test area to gain the maximum sensitivity of the method. Fluorescent MT is very sensitive to small defects. 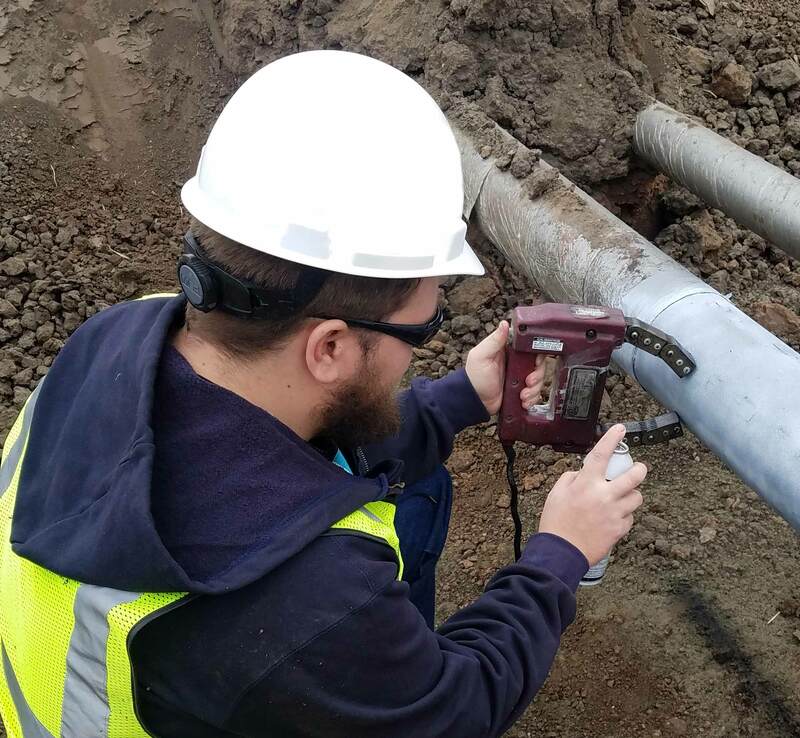 Magnetic particle testing can be utilized on ferromagnetic materials in industrial sectors such as oil and gas, pipelines and fabrication shops. Petrochemical plants and structural steel can also benefit from this ndt method.